Visually rich Web pages that scale to any size, created in the browser by anyone. That’s the central feature of Squarespace’swebsite creation platform, and today the company announced a “complete overhaul” that offers over 50 new features. The most notable new feature is LayoutEngine. The company describes LayoutEngine as “a revolutionary new page building technology,” which it said allows any user to create pages that would otherwise require a high level of design expertise and programming experience. 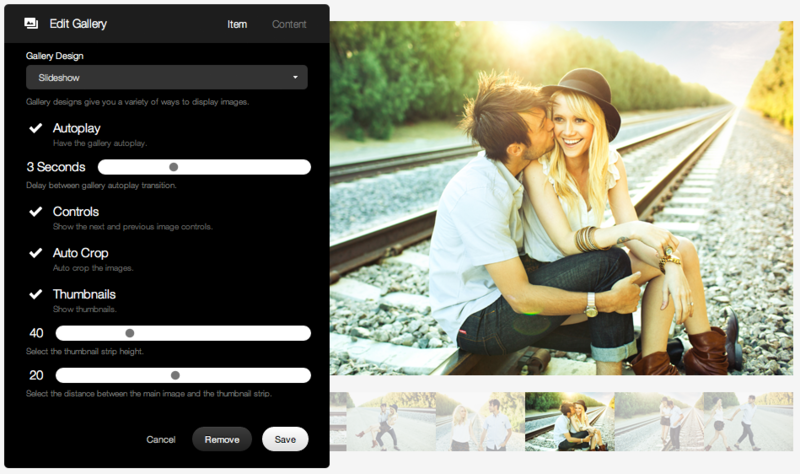 Photo galleries, blogs, commenting and connections to Web services are included in the platform. With LayoutEngine, pages are built quickly by dragging and dropping content blocks onto the webpage-in-progress. Squarespace 6 comes with 20 new, customizable templates that the company said are infused with “cutting-edge user interactions.” A mobile version is included for each template. Other new features include revised media management, a new blogging engine, page publishing to Facebook, real-time statistics, support for multiple authors and a new system for commenting. There is also more extensive integration with social media and other popular Web-page services. For instance, any Squarespace website page or gallery can be published directly to a Facebook page, blog posts can be pushed to Twitter, Facebook or Tumblr, or content from Instagram, Twitter, Foursquare, Flickr and Dropbox can be synced to a Squarespace website. The hosted Squarespace 6 is offered at US$ 8 per month if billed annually, including 24/7 support and a custom domain at no additional charge. Based in New York City and founded in 2004, Squarespace said that its cloud-based platform has “empowered millions” of users, even those without technical knowledge, to create and maintain websites.